HDFC ERGO, non-life insurance arm of housing finance major HDFC, today said it will acquire L&T General Insurance for Rs 551 crore in an all-cash deal. “Considering the importance of scale in the insurance business, consolidation within the industry is inevitable. This transaction marks the beginning of this consolidation phase,” HDFC Chairman Deepak Parekh said in a statement. The combined size and expertise will result in improved cost efficiencies in the merged entity and benefit policy holders and other stakeholders, he said. The transaction has been valued at Rs 551 crore and the acquisition would help HDFC ERGO improve its market position, the statement said. HDFC ERGO, which operates through 108 offices, had gross premium of Rs 3,467 crore and made a profit after tax of Rs 151 crore. L&T General Insurance, a wholly-owned subsidiary of engineering conglomerate Larsen and Toubro, wrote gross premium of Rs 483 crore registering a growth of 40 per cent over previous financial year. The company operates through 28 offices with 800 employees. HDFC ERGO, a 51:49 joint venture between HDFC and ERGO International, is the fourth largest private sector general insurance company. In a separate statement, HDFC said it today concluded the transfer of 12.33 crore shares at price of Rs 90.973 per equity, aggregating to a consideration of Rs 1,122 crore. As HDFC ERGO is an unlisted entity, the capital gains tax on the sale of shares is Rs 197 crore, resulting in a post tax profit of Rs 725 crore. 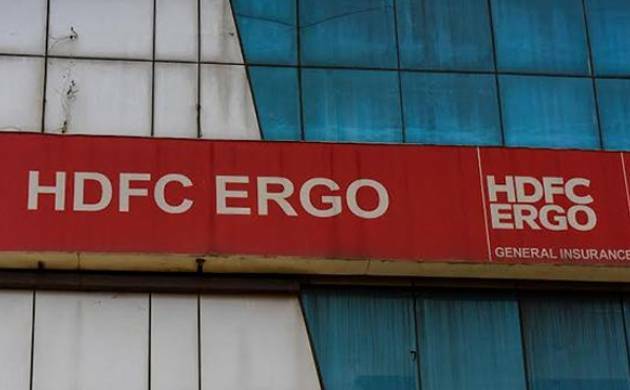 As a result of the sale of shares, HDFC’s holding in HDFC ERGO now stands at 50.73 per cent, while ERGO’s share is 48.74 per cent, it said. “In accordance with past practice and with the objective of further strengthening the Corporation’s balance sheet, the Corporation believes that it would be prudent to utilise the one-off pre tax gains to shore up the Provision for Contingencies Account and thereby build an additional buffer against any unexpected risk in the future,” it said. Accordingly, it said HDFC proposes to make an additional special provision of Rs 275 crore being 30 per cent of the pre-tax gains on this transaction towards standard assets and other contingencies. “It may be noted that the special provision is being done voluntarily and is not on account of any regulatory requirement. Further, the provision is in respect of standard assets,” it added.